The mounts are still a bummer, it will likely end up being more expensive overall. Never mind, that's only the top part, it's shaped the same as the Fit unit. $700 is a bit steep. Short runners will probably affect low end torque too. Buuut it makes it a lot more feasible. I really think a 3.4 FD is a good idea, but it adds considerable cost to the build. I suppose the 4.105 wouldn't be the end of the world if I moved to a larger diameter tire too. Quoting myself here because I need to update this. Hybrid Racing's K series transmission guide had the wrong ratio for the 2012 Civic Si's 6th gear - it's actually a bit taller. Looks like I'm not going to be able to get ahold of a 3.4 FD, no matter how much money I throw at it. The one person who makes these will only make them if there's a group buy-in, so 4.059 is the tallest I can reasonably get. ^ To me that looks pretty reasonable. Ideally I'd have taller gearing to go with the bigger motor, but at least it's not significantly shorter. What a dream. I might even be able to nearly match the 1.0's fuel economy with a 6th like that. Looks like I'm getting the 3.4 final drive after all. After pestering him, the guy who makes them caved and ordered a run. With gearing like that this really might not be un-ecomodding. That's the Si transmission with a 6 speed. Wow. Tall combination. 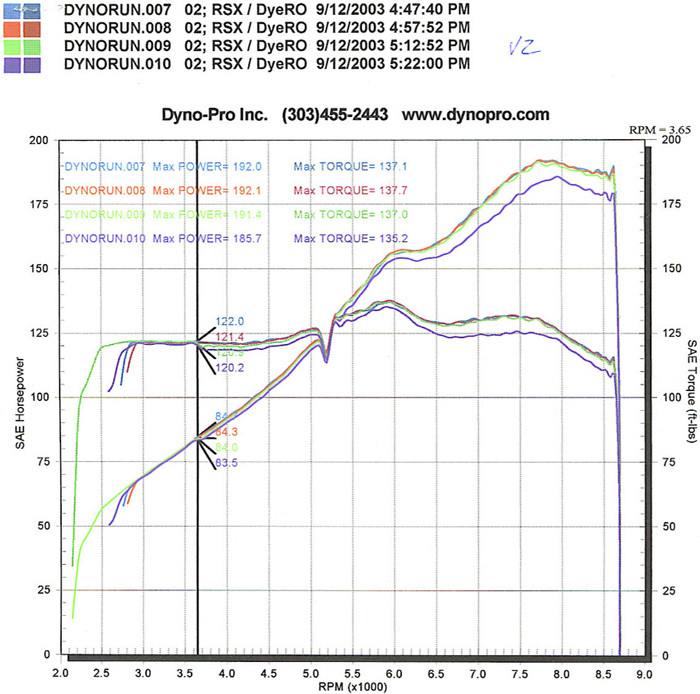 With the 3.4 FD your RPM estimates are really low. My 3.25 FD, 0.710 5th, and 175/70-r15 wheels/tires turn the tach about 1770 rpms at 55mph. Thoughts on K24 vs K20 fuel economy potential? K24 is basically a stroked K20 - both have (approximately) the same cylinder bore. The K24 produces around 20% more torque, almost exactly the amount you'd expect based on the considerably longer stroke and correspondingly higher displacement. All else being equal, I'd expect a motor with a longer stroke to provide better fuel economy (e.g. 2.0L vs 2.0L) due to better cylinder geometry. However, the K24 has more displacement. As long as I'm not needing to downshift when cruising, I expect that would work against me. A K20 will be running at higher load in the same gear, but its peak efficiency will also probably be at a higher RPM. Do you have a torque/hp graph for both engines? That would help show what kind of loads you'll be at cruising. 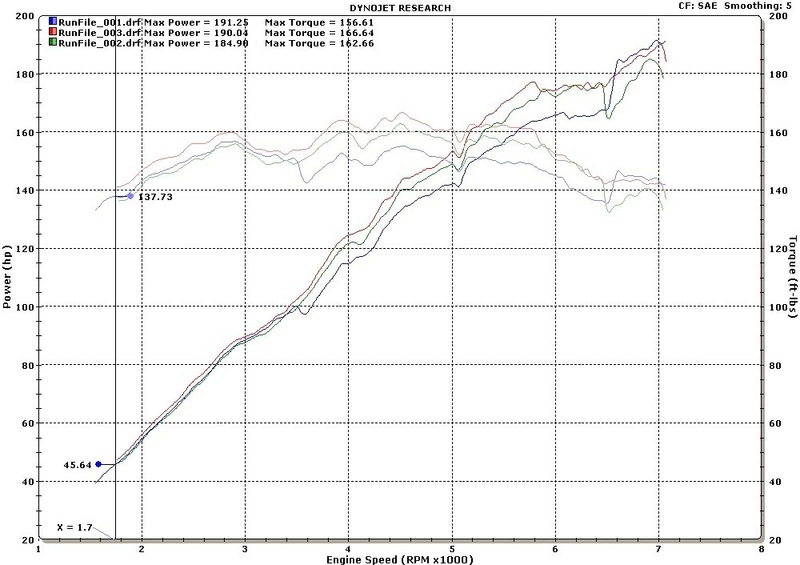 K24Z7 is ~170ft-lbs torque peak, ~205HP on paper, redline is 7000rpm. 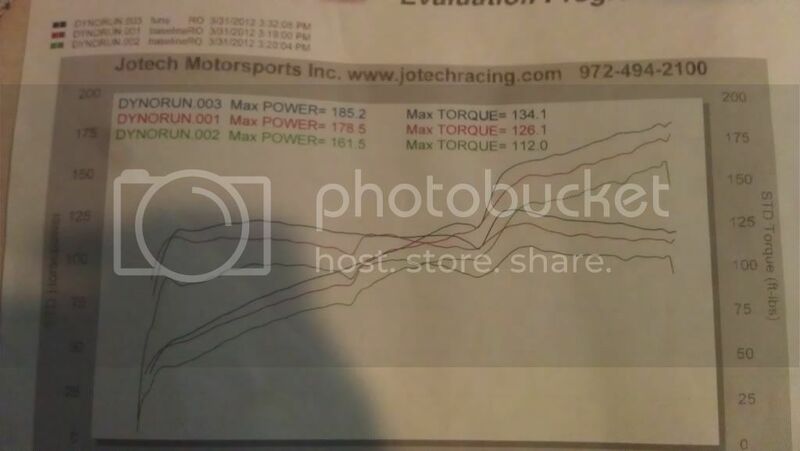 K20Z3 is 139ft-lbs torque peak, ~197HP on paper, redline is 8000rpm. 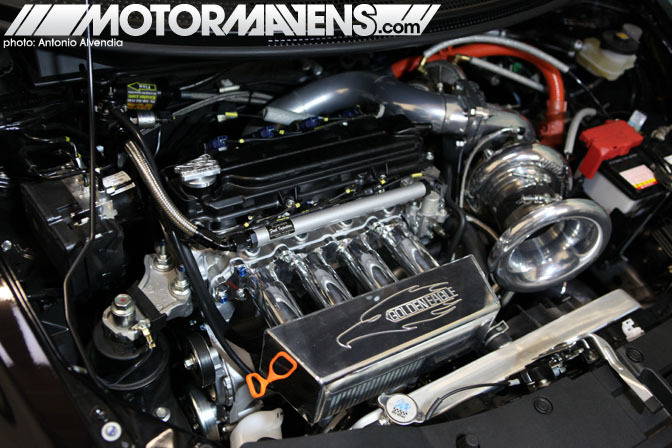 Stock engine - 1705rpm @ 50mph, 66 ft-lbs of torque and it cruises at approximately 50% load. So let's say it takes very roughly ~35 ft-lbs to cruise at 50. Last edited by Ecky; 07-10-2018 at 06:42 PM..